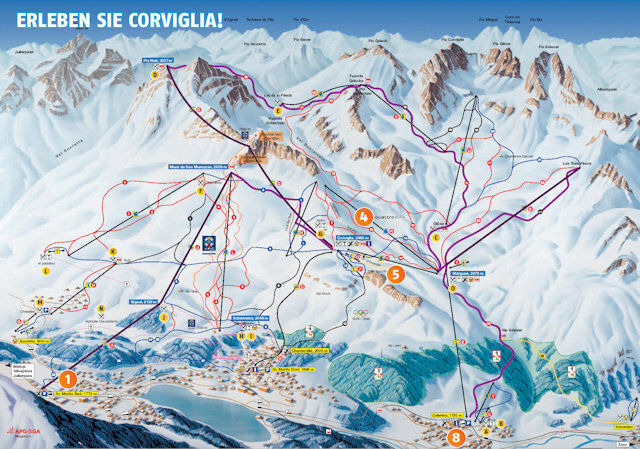 orviglia is the local mountain for St Moritz, with valley stations servicing the mountain in St Moritz Dorf, St Moritz Bad and Celerina. 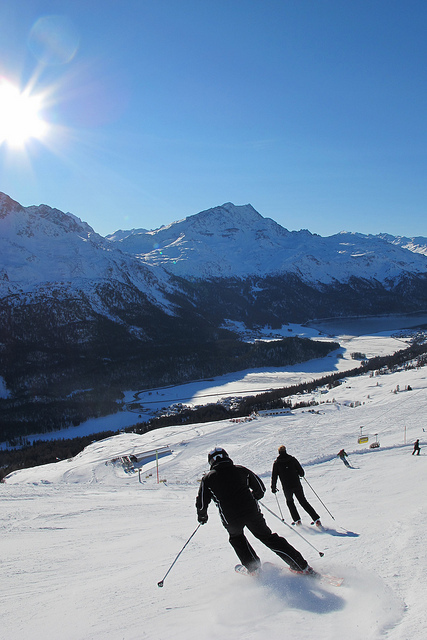 Some lovely, flattering slopes characterise most of the mountain although there is the beautiful Olympic run down to St Moritz. From the top station there is a cable car up to Piz Nair, where the slopes are less crowded and there is often access to untracked off-piste. 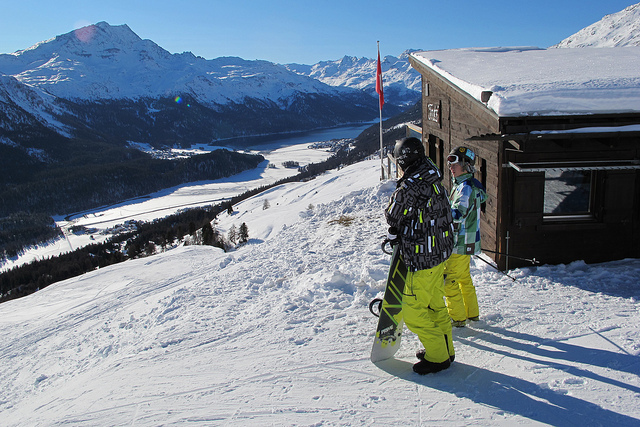 beginners should either go to Celerina where there are nursery slopes at the foot of the mountain. or take the funicular to Chatarella then either walk or take the horse-drawn carriage to Salatrains where there is an excellent beginners area, especially for children. Probably the most famous mountain restaurant in the Alps, La Marmite is at the Corviglia top station - but it is not cheap. There is also a good restaurant at Piz Nair and a variety of surprisingly affordable mountain restaurants with standard fare elsewhere. 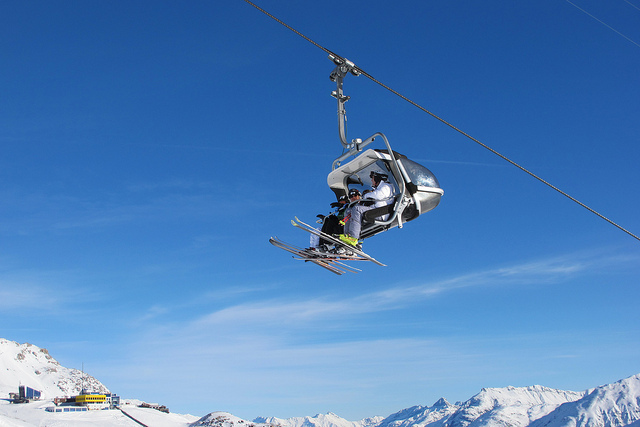 The best destination to access the downhill slopes by public transport in this ski area is Celerina. 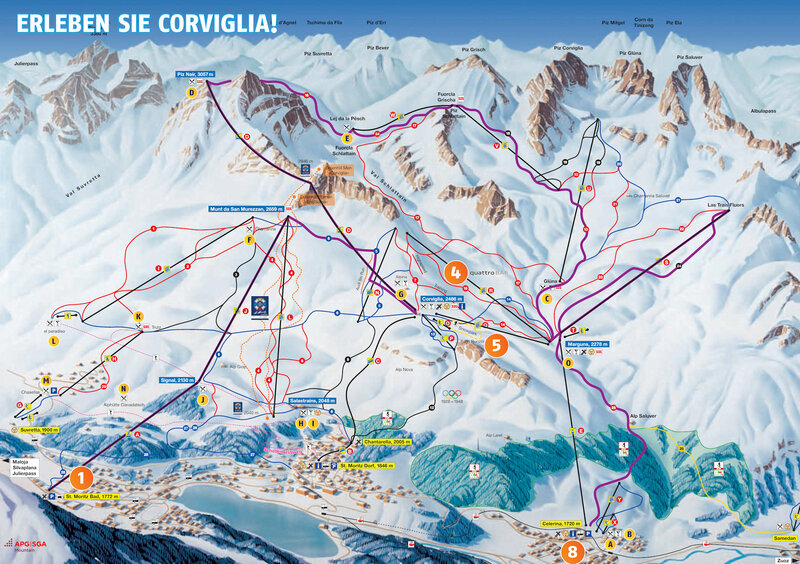 Celerina station is ten minutes walk from the Marguns gondola up Corviglia. The resort operates the Snow'n'Rail scheme, providing a 20% discount on the combined travel ticket and lift pass. From Basel the least travel time is 4 hrs 20 mins with as few as 1 changes going via Chur. Typically, an adult one day combined ticket is 233.80 SFr, reduced to 153.80 SFr with a Half-Price card. As the crow flies, the resort is respectively 207km, 142km and 286km from Basel, Zurich and Geneva airports, 186km, 130km and 243km from Berne, Lucerne and Lausanne, and 905km from London. Nearby destinations in the region include Celerina, Corvatsch, Diavolezza, Pontresina, Sils, Silvaplana, St Moritz and Zuoz.